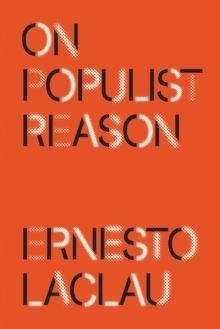 This is a tour de force analysis of the forces that drive populism by the renowned political theorist. 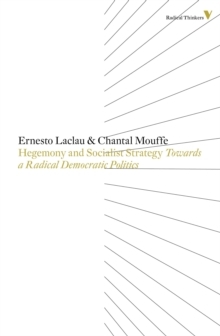 In this highly original work, Ernesto Laclau continues the philosophical and political exploration initiated in Hegemony and Socialist Strategy. Here, he focuses on the construction of popular identities and how 'the people' emerges as a collective actor. 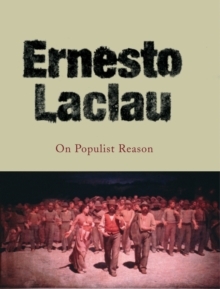 Skilfully combining theoretical analysis with a myriad of empirical references from numerous historical and geographical contexts, he offers a critical reading of the existing literature on populism, demonstrating its dependency on the theorists of 'mass psychology' such as Taine and Freud. 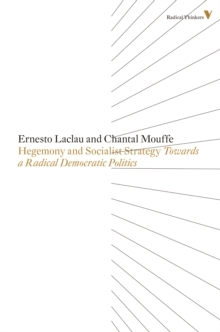 He, then focuses on the construction of popular identities and how 'the people' emerges as a collective actor with a political and social force, demonstrating the relation of populism to democracy and to the logic of representation and differentiating his approach from the work of Zizek, Hardt and Negri and Ranciere. 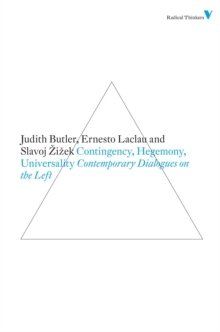 This book is essential reading for all those interested in the question of political identities in present-day societies.